In a statement issued Tuesday, Paramount says that the video is not the clip in question, but that it is actual news footage of a real crash. They claim that it is from a 2009 incident that took place in Tokyo, however, the AFT article claims that what is seen in the movie does resemble this second crash. He apologized to the families, and said that he asked Paramount to remove the footage, which they are. The footage in question pops up at the 1:53 mark. 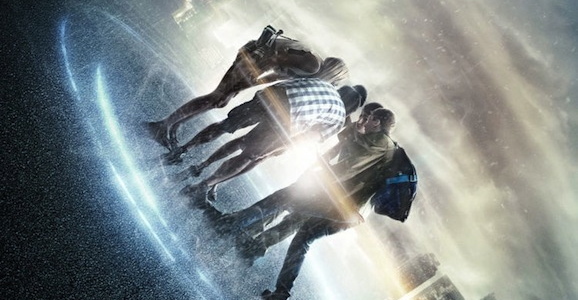 Project Almanac, formerly titled Welcome to Yesterday, is a found footage film that follows a group of high school friends who discover that one of their fathers built a time machine. With the impetuous energy of youth, they embark on all kinds of fun adventures through time—winning the lottery, experiencing events they missed, and generally having a blast—until they come face to face with the unexpected consequences of their actions.